You don't have to travel to overseas to get a taste of Europe. 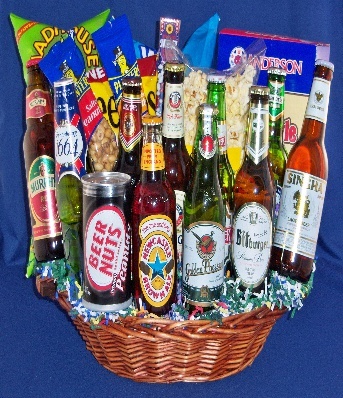 This huge basket is full of different varieties of European beers. Also includes, pretzels, popcorn, chips, beer nuts, snack mix and peanuts.